Advances in Genetics, Volume 97 provides the latest information on the rapidly evolving field of genetics, presenting new medical breakthroughs that are occurring as a result of advances in our knowledge of the topic. New chapters in this recent release include Plant photomorphogenesis, TBC, and Exosome/EV Biomolecule Delivery "transfer". 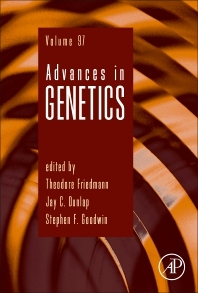 Users will find a series that continually publishes important reviews of the broadest interest to geneticists and their colleagues in affiliated disciplines, critically analyzing future directions.